Please note: There will be no ARRL Audio News on Thursday, May 18. The ARRL Letter will be sent out on its regular schedule that day. The Army, Air Force, Navy, Marine Corps and Coast Guard are co-sponsoring the annual Military/Amateur Radio Crossband Communications Test in celebration of the 62nd anniversary of Armed Forces Day. Although the actual Armed Forces Day is celebrated on the third Saturday in May -- May 19 in 2012 -- the AFD Military/Amateur Crossband Communications Test will be conducted on May 12 to prevent a conflict with the Dayton Hamvention®, scheduled for May 18-20. Read more here. A team of radio amateurs has activated the island of Socotra, located about 353 kilometers south of Yemen. This is only the second time that hams have operated from the island; the first time was in 1964-1965 when Socotra was part of Britain's Aden Protectorate. 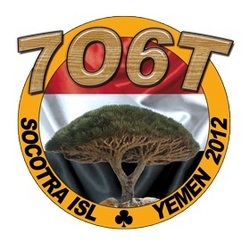 The Daily DX is reporting that the 7O6T Yemen DXpedition began at 2100 UTC Monday, April 30 and will continue through 2100 UTC May 15. Yemen currently sits at #5 on DX Magazine's most wanted list, behind North Korea, Navassa, Bouvet and Heard Island. The ARRL DXCC Desk will review the 7O6T DXpedition's documentation before granting approval for the operation to count for DXCC credit. The DXpedition will be on Socotra Island -- the largest island in the four-island Socotra archipelago located in the Indian Ocean -- about 353 kilometers south of the Yemen mainland. Socotra Island (AF-028) is also ranked #1 on the RSGB's Islands on the Air (IOTA) list, with only .3 percent of IOTA participants claiming it. Socotra also counts for one of the three Diamond DXCC Entities that make up today's Yemen (including Aden City and Yemen itself) from the 1937 DXCC List. Read more here. On May 1, Dragan Pavlovic, YT3PDT, completed his registration process for Logbook of The World (LoTW), becoming the 50,000th person to take advantage of the ARRL's online QSL confirmation system. According to ARRL Membership and Volunteer Programs Manager Dave Patton, NN1N, there are more than 3500 individuals from outside the US in the process of obtaining a digital certificate, and more than 1800 individuals inside the US who have started the certificate process, but not yet finished. Earlier this year, the ARRL and CQ Communications announced that the ARRL will provide support for CQ-sponsored operating awards by LoTW, beginning with the WPX Award. This project has entered the beta testing phase with a select group of hams and, barring any unforeseen circumstances, is on track to be launched to the Amateur Radio community this month. "Radio amateurs around the world consider LoTW to be the 'must have' awards and electronic confirmation system," Patton said. "We look forward to planned improvements and upgrades, and we are gratified that so many people have helped the system grow and become more and more useful." 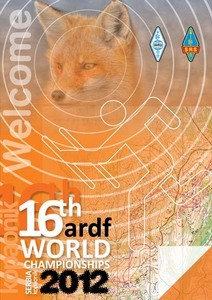 Top finishers in the USA ARDF Championships can qualify to attend the ARDF World Championships, scheduled for September 10-16 in Kopaonik, Serbia. Activities will get under way on Wednesday and Thursday, May 30-31, when an optional two-day "training camp" will take place. This is a wonderful opportunity for immersion in bearing-taking and course strategy, with experts to help. Orienteering maps with elevation contours and color-coded terrain markings are new to many on-foot foxhunters, but the camp will instill confidence in using them to navigate in unfamiliar forests. The official championships opening will take place on Friday, June 1. Friday's schedule also includes additional practice and equipment testing sessions, followed by a meeting for orientation and rules review. The 2 meter contest will take place in the woods on Saturday, and a banquet and awards ceremony will follow that evening. Sunday's schedule includes the 80 meter contest and another awards ceremony. Read more here. This feature is a concise monthly update of some of the things that the ARRL is doing on behalf of its members. This installment -- which covers the month of April -- takes a look at an FCC request for comments in a Congressional study, new radar systems in the 1240-1300 MHz (23 cm) band, updated rules for ARRL volunteer card checkers, forthcoming ARRL publications, happenings at W1AW, reports from the Official Observer Desk and more. Read more here. Fred Kleber, K9VV, has been appointed as Section Manager of the Virgin Islands Section as of May 1, 2012. Kleber, of Christiansted, St Croix, is taking the reins from John Ellis, NP2B, who is planning a move out of the Section soon. Ellis has been Section Manager of the Virgin Islands since 1996. Kleber has served as the Section Emergency Coordinator of the Virgin Islands this past year. Ellis recommended that Kleber fulfill his current term of office that continues until September 30, 2012. In response, Dave Patton, NN1N, Membership and Volunteer Programs Manager, consulted with ARRL Southeastern Division Director Greg Sarratt, W4OZK, and made the appointment effective on May 1. 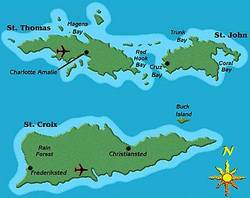 Nomination petitions are now being accepted at ARRL Headquarters for any qualified ARRL member who would like to run for the next term of office as the US Virgin Islands Section Manger. See the notice in the April 2012 (page 80) or May 2012 (page 76) issues of QST for details on how to nominate someone for this post. The Sun, as seen on Thursday, May 3, 2012 from NASA's SOHO Extreme Ultraviolet Imaging Telescope. This MDI (Michelson Doppler Imager) image was taken in the continuum near the Ni I 6768 Angstrom line. The most prominent features are the sunspots. This is very much how the Sun looks in the visible range of the spectrum. 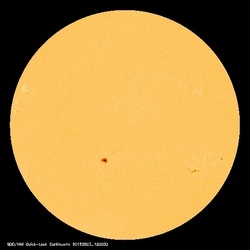 Tad "Our days run as fast away as does the Sun" Cook, K7RA, reports: The average daily sunspot numbers declined 38 points to 106.7 this week, while the average daily solar flux declined nearly 18 points to 116.2. The data reporting week runs from Thursday through the following Wednesday, so this comparison is between April 26-May 2, contrasted against April 19-25. The predicted solar flux is 115 for May 3-6, 110 on May 7-8, 115 on May 9, 130 on May 10-12, 135 on May 13, 140 on May 14-17, 135 on May 18-21, and 130, 125, 120, 115, and 110 on May 22-26. The predicted planetary A index is 5 on May 3-8, then 10, 15 and 8 on May 9-11, 5 on May 12-13, 8 on May 14-15, then 5, 8, 5, 8 and 10 on May 16-20, 15 on May 21-23, 8 on May 24, and then 5 on May 25-June 4. The NASA solar cycle prediction from the Marshall Space Flight Center has changed over the past month: The predicted maximum smoothed international sunspot number changed from 61 to 60, but still predicted for next spring 2013. The date of the new prediction is May 1, 2012 and last month's was on April 2, 2012. International sunspot numbers have much lower values than the sunspot numbers we use in this bulletin. The prediction is still for Solar Cycle 24 to be the lowest sunspot cycle in the past century. Look for more on the ARRL website on Friday, May 4. For more information concerning radio propagation, visit the ARRL Technical Information Service Propagation page. This week's "Tad Cookism" is brought to you by Robert Herrick's Corinna's Gone A-Maying. 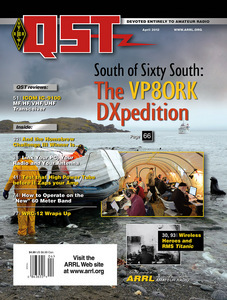 The winner of the April QST Cover Plaque award is retired USCG Commander Richard Paton for his article "Radio's Role in the Titanic Disaster." Congratulations Richard! The QST Cover Plaque award -- given to the author or authors of the best article in each issue -- is determined by a vote of ARRL members on the QST Cover Plaque Poll web page . Cast a ballot for your favorite article in the May issue today. How do you participate in Field Day? Where do you store your QSL cards? How were you introduced to Amateur Radio? Do you suffer interference from your vehicle's electronics when you operate mobile? Visit the QuickStats page and be sure to bookmark it in your browser. Results from this QuickStats poll will be published in the August 2012 issue of QST on the QuickStats page, located in the rear advertising section of the magazine. Along with monthly poll results, QST QuickStats offers colorful charts and graphs that highlight interesting Amateur Radio statistics.